Much has been written about women of the English Renaissance, but few examples of women's writing from that era have been readily available until now. This remarkable anthology assembles for the first time 144 primary texts and documents written by women between 1550 and 1700 and reveals an unprecedented view of the intellectual and literary lives of women in early modern England. The writings range from poetry to philosophical treatises, addressing a wide array of subjects including law, gender, education, motherhood, medicine, religion, life-writing, and the arts. Each selection is paired with a beautifully reproduced facsimile of the text's original source manuscript, allowing a glimpse into the literary past that will lead the reader to truly appreciate the care and craft with which these women writers prepared their texts. 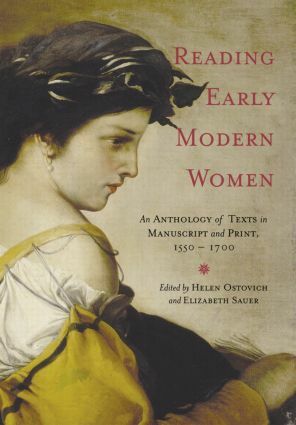 This essential anthology is a captivating guide to the legacy of early modern women's literature and its authors that must not be overlooked.